Dr. Coker’s interest in vision began as early as middle school while raising Guide Dogs for the Blind. He later attended University of California, Davis and obtained his bachelor’s degrees in Biology and Psychology. Dr. Coker continued on to graduate from Pacific College of Optometry outside Portland, Oregon and began practicing optometry in Las Vegas, NV in 2009. In 2014, Dr. Coker joined Dr. Morrison at EyeCare About Vegas and over the past few years helped him transition into retirement. Now that Dr. Morrison is fully retired, Dr. Coker continues the tradition of treating every patient like family. Dr. Coker lives in Green Valley. 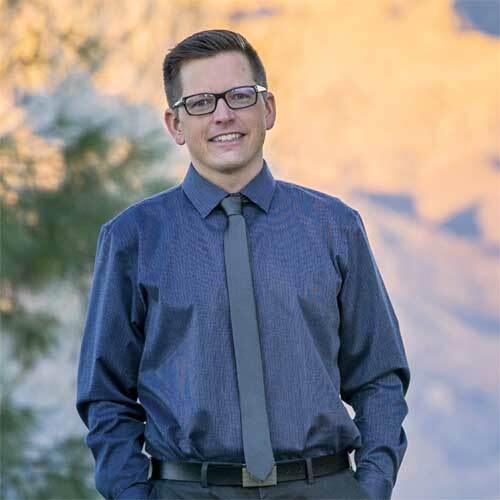 You will find Dr. Coker spending his free time taking his two dogs to The District at Green Valley Ranch and enjoying live music at Lake Las Vegas. Read a Contact Lens Evaluation Q&A with Dr. Coker by clicking here.